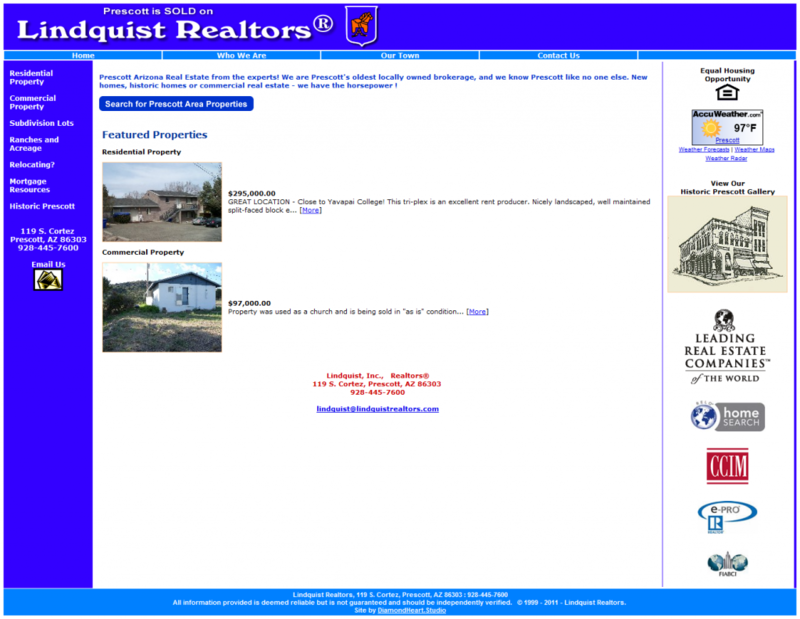 Lindquist Realtors have been selling property in Prescott, Arizona since 1981. 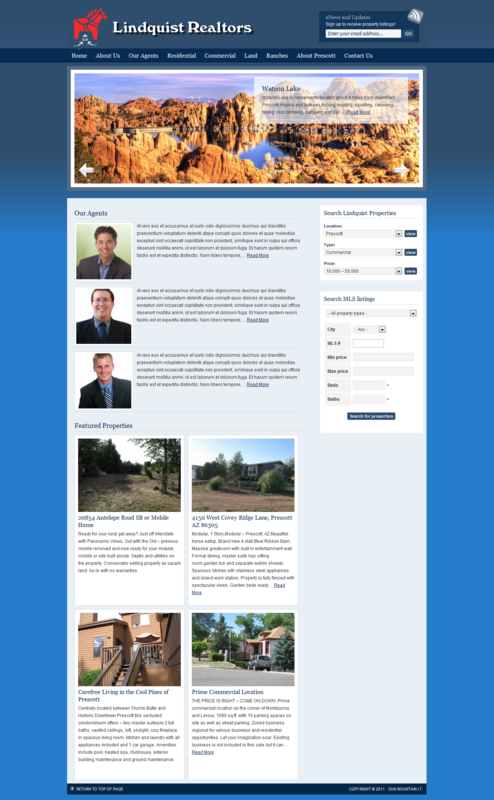 They already had a website, but they needed a new design to represent the top notch realtors they are and the properties they represent. There logo and color theme was incorporated into a new design that gave their site a profesional look showcasing their realtors as well as their properties. Searhc functions were added that enabled visitos to search properties by price, location, and facilities. That search section was added to the sidebar of all their pages providing easy access for all their visitors. A custom application was developed to not only list properties available in Prescott, but in areas all over Northern Arizona.